Everything comes from story. The reason would be that the communication through story can best touch people’s mind and change their behaviors. 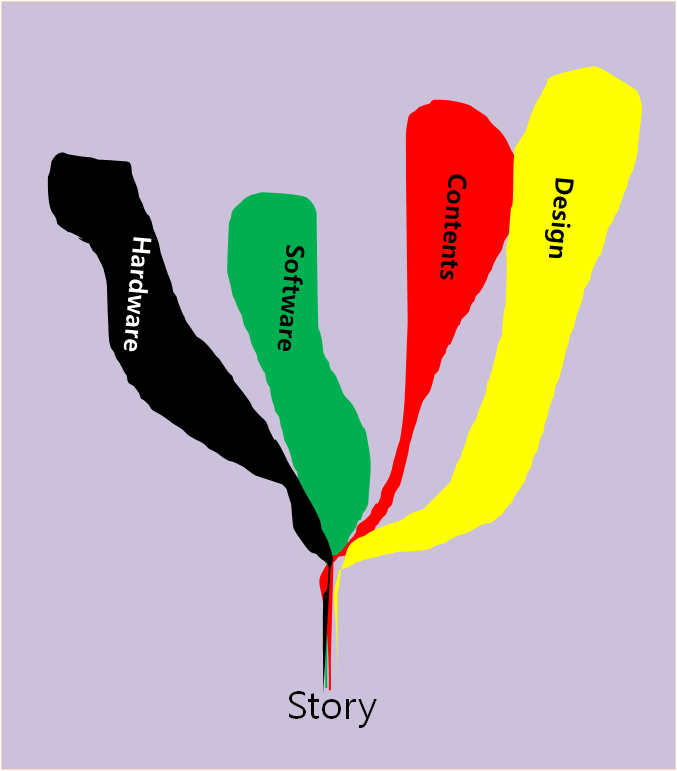 Contents, design, software and hardware based on story can be created. One of our unique stories was already created. As promised, one of our unique stories, Project W, was released in the form of e-book on January 9, 2012. And then the video clip was made of drawings showing the birth of ‘WISDOM BOX’. Please refer to “http://www.amazon.com/dp/B006V9WIP4″ and the following video.